Israeli politicians are calling on the 122 member states of the International Criminal Court to cut its funding in response to the beginning of its inquiry into possible war crimes in Gaza last year. The ICC announced Friday it would investigate "in full independence and impartiality" crimes that may have occurred in the conflict between Israel and Hamas militants in Gaza in July-August 2014. The seven-week war killed more than 2,100 Palestinians and 70 Israelis. The Gaza Health Ministry, the UN and several human rights organizations have variously reported that 69-75 percent of the Palestinian casualties were civilians. 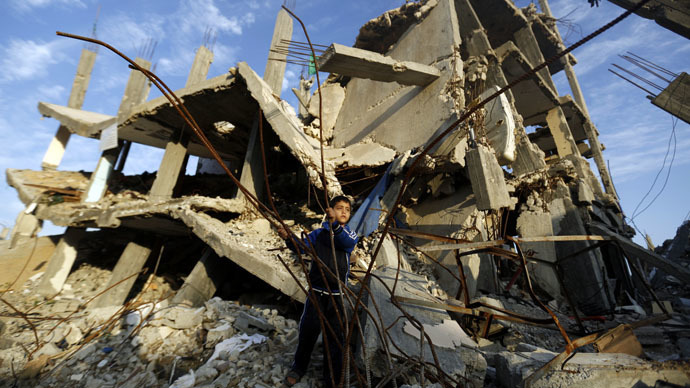 Israeli officials said 50 percent of those killed were civilians. The Israeli decision to lobby against the ICC came after Palestinian Authority President Mahmoud Abbas, after failing to secure a bid in the UN Security Council to end "Israeli occupation," requested ICC membership. Israeli PM Benjamin Netanyahu said on Sunday that the ICC decision to start an inquiry “is the height of hypocrisy and the opposite of justice." "We will fight it every way possible and we will also recruit others to fight this absurdity, and they are already being recruited. We will not allow IDF soldiers to face international tribunals," he said. Meanwhile, Israeli Foreign Minister Avigdor Lieberman said many countries do not support the work of the ICC. Lieberman said he would discuss the issue with Canadian Foreign Minister John Baird, who is on a visit to the region, on Sunday. Another Israeli official told Reuters that a similar request was sent to Germany, and would be made to Japanese Prime Minister Shinzo Abe, who is also visiting Israel. Japan is the largest financial contributor to the ICC. Hamas, the Palestinian Islamic movement that is viewed as a terrorist organization by Israel and the US, said it was prepared to provide material evidence to the ICC to support the case against Israel. Meanwhile, Washington condemned the ICC’s decision to open a preliminary investigation into possible war crimes committed by Israeli forces against Palestinians. Neither Israel or the United States are members of the ICC.